This 2 hour interactive workshop is offered by Drs. Mary K Stillwell and Frank Edler. 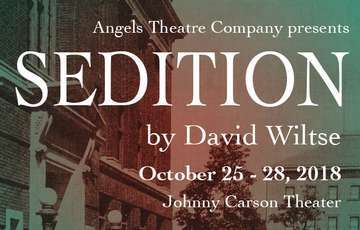 The focus of the workshop is the fact and fiction of the play Sedition and how playwright David Wiltse took an historical event and fictionalized it for the stage. Together participants will try their hand at storytelling by looking at a series of real events and choosing which point of view or lens fits best.